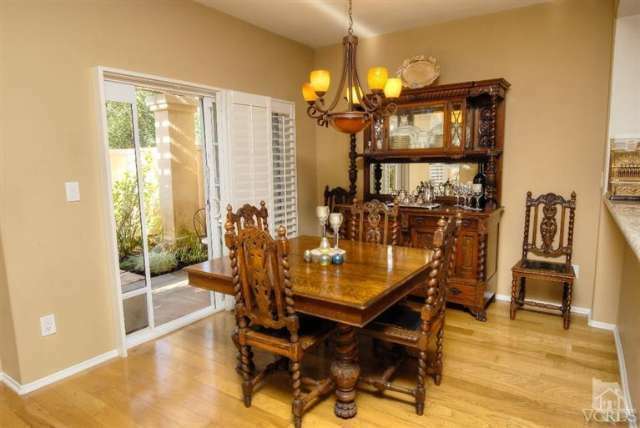 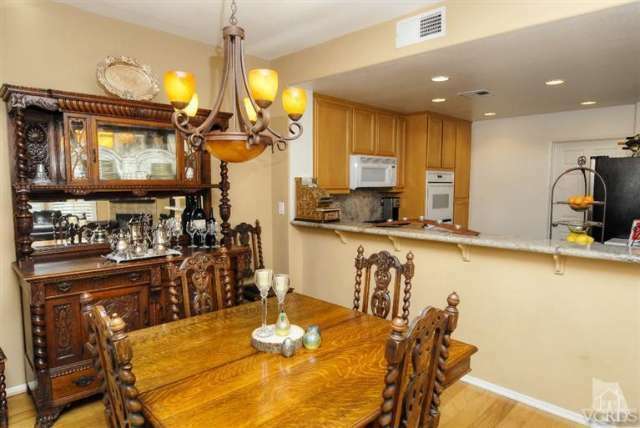 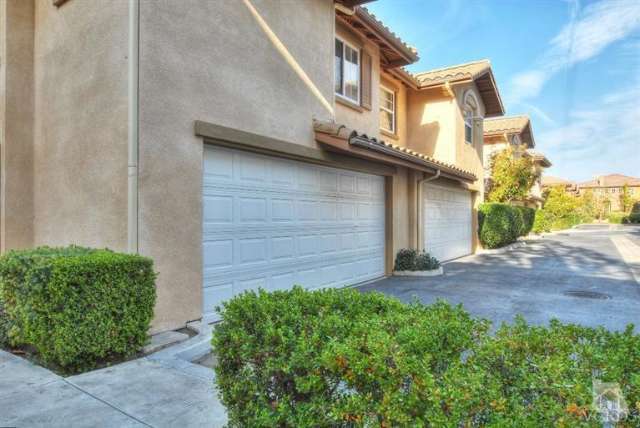 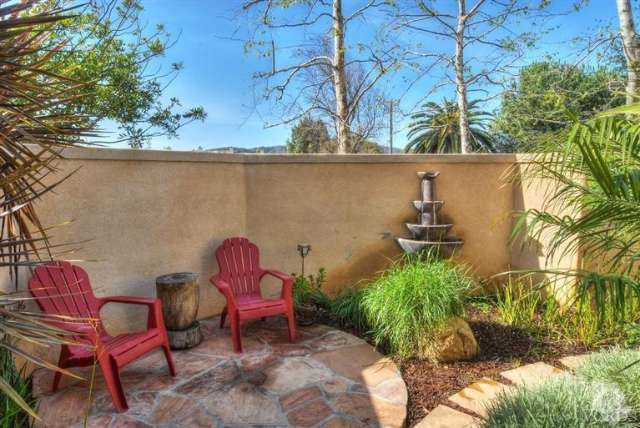 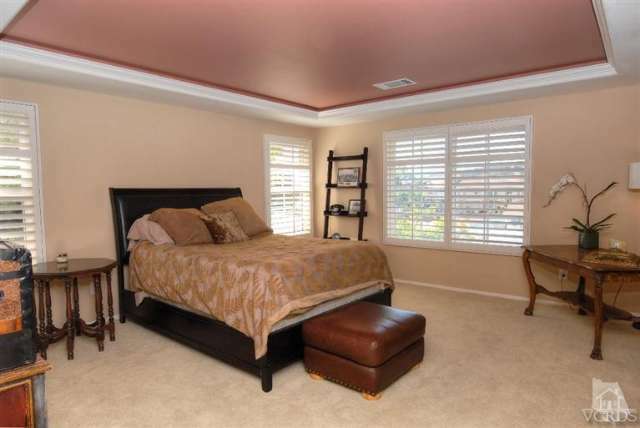 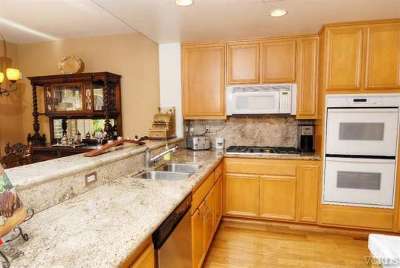 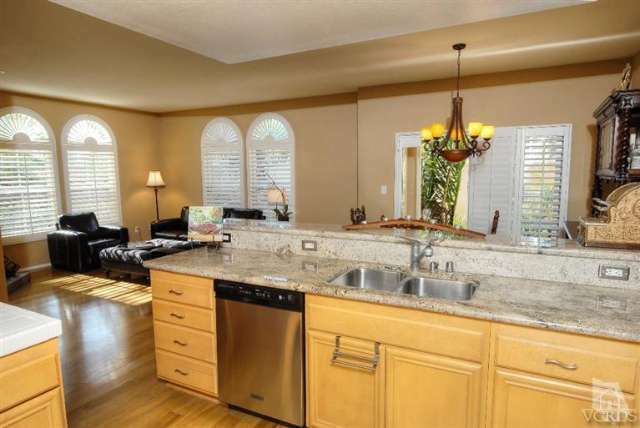 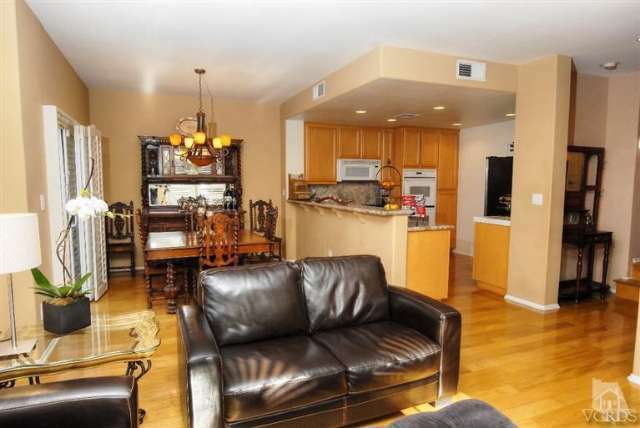 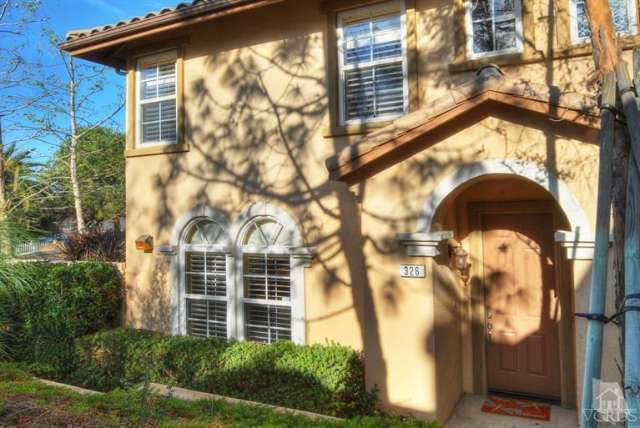 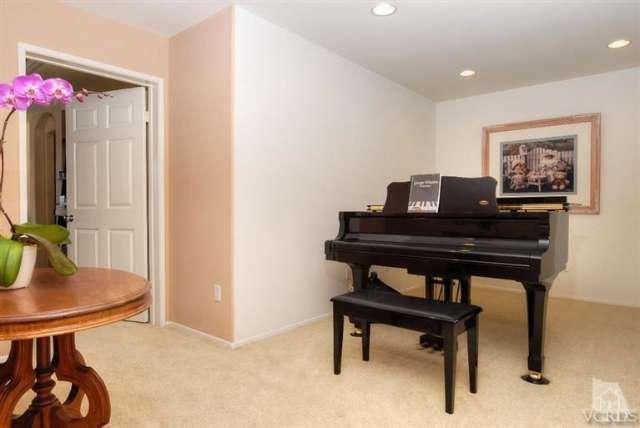 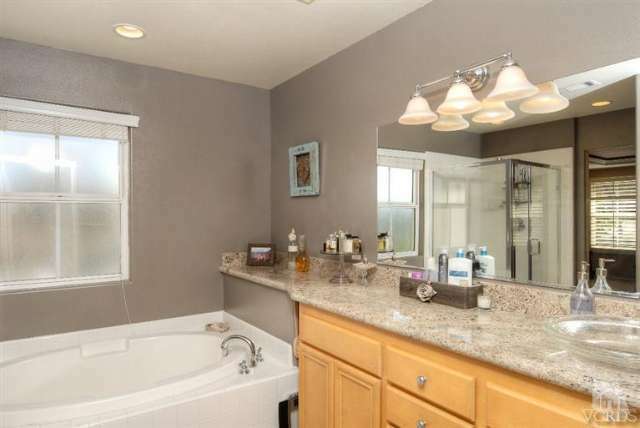 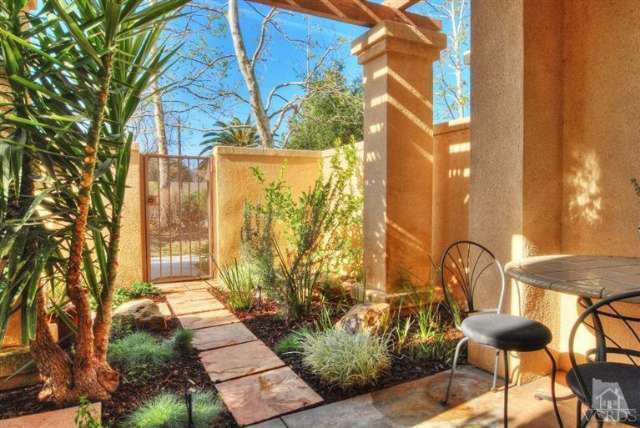 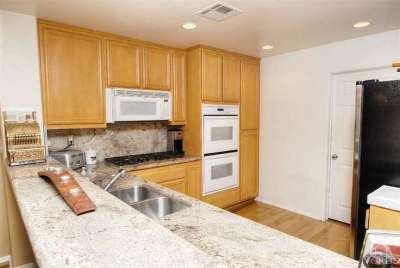 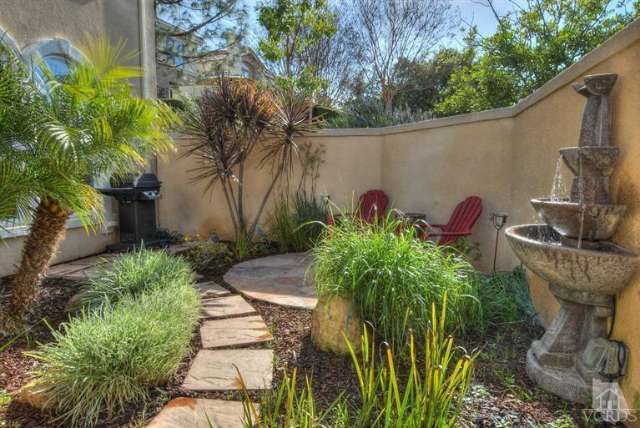 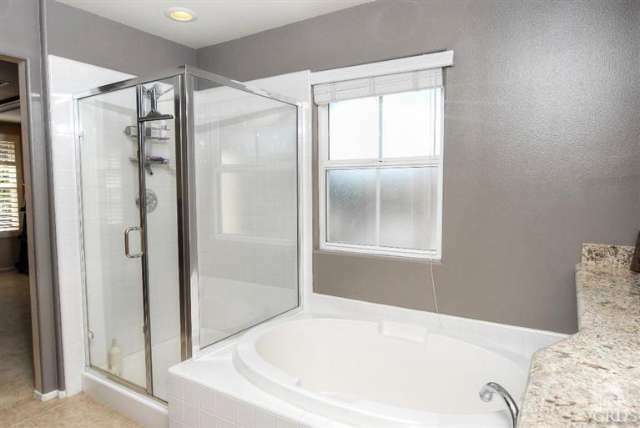 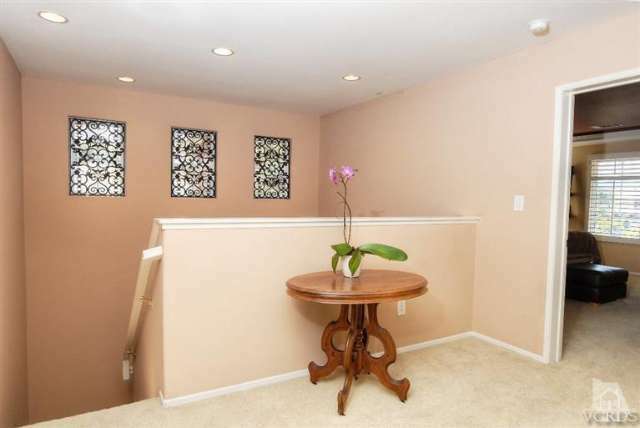 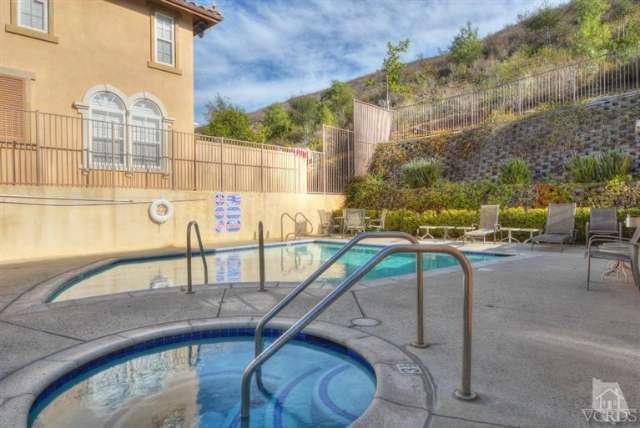 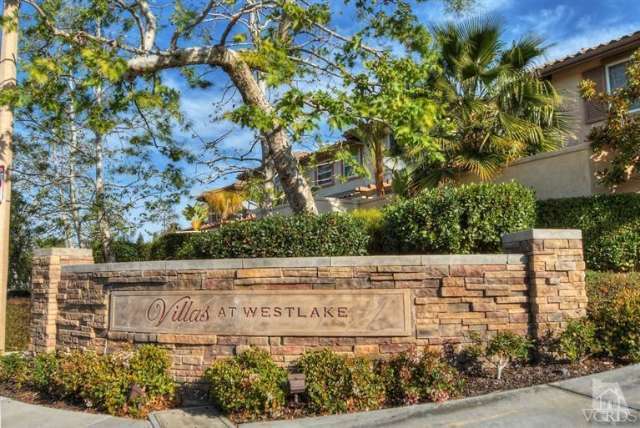 Beautiful 3BD 3BA Villas at Westlake end-unit townhome located in the heart of Thousand Oaks! 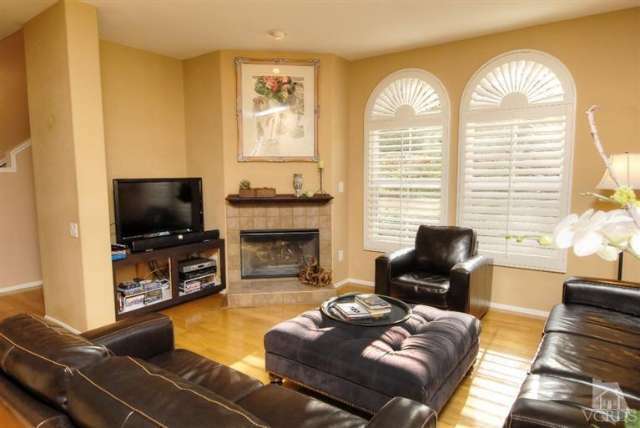 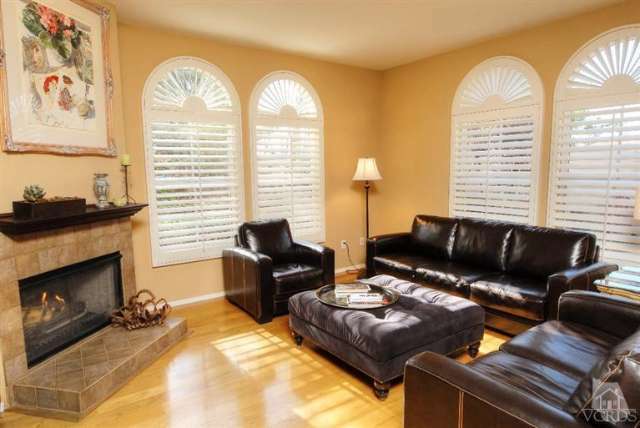 Upon entering into the home, one is welcomed to the spacious living room w/plantation shutters & cozy fireplace. 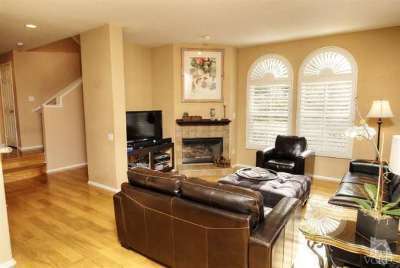 Upgraded home features open floor plan, smooth ceilings, recessed lighting, designer paint, dual pane windows, hardwood floors downstairs, carpet upstairs, separate laundry room & 2 car attached garage w/direct access & storage. The kitchen boasts wood cabinetry, granite countertops, double oven, microwave, gas cooktop & dishwasher. Dining area has slider door leading to large private patio w/bbq, fountain, flagstone & lush landscaping perfect for entertaining! 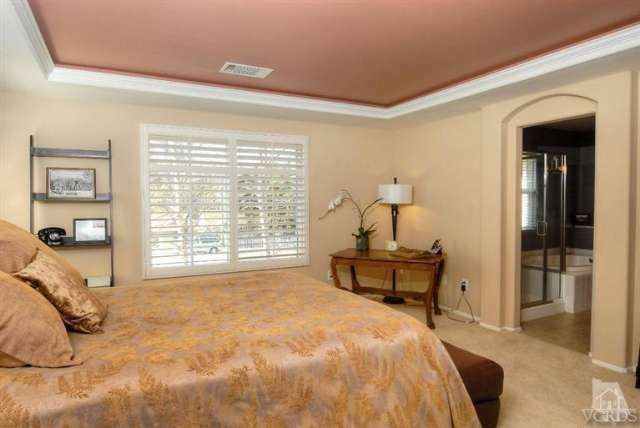 Large master bedroom suite features coffered ceilings, plantation shutters, large walk-in closet w/built-ins, master bath w/large oval tub & separate shower, granite counters & modern glass sink perfect for relaxing. 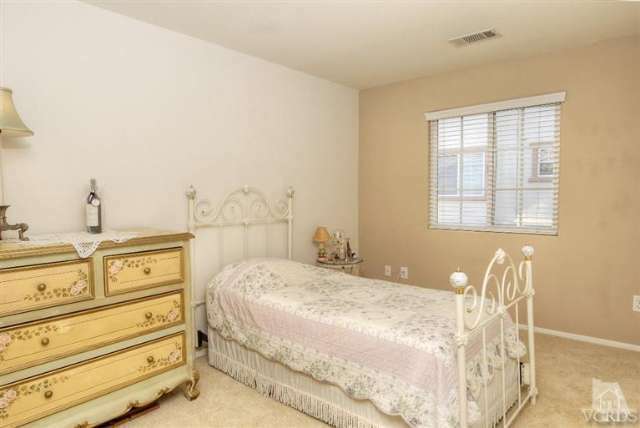 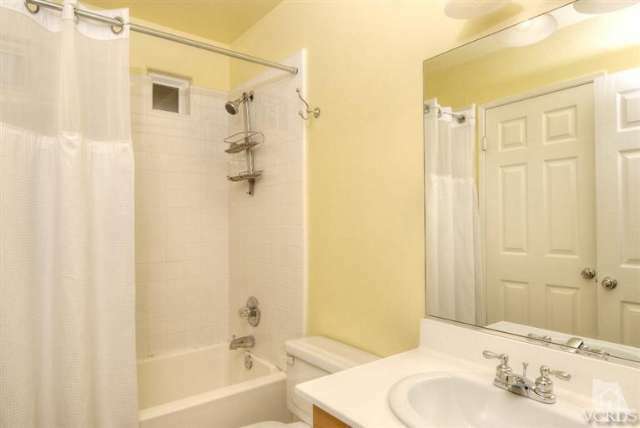 Both guest bedrooms are nice sized w/walk-in closets. 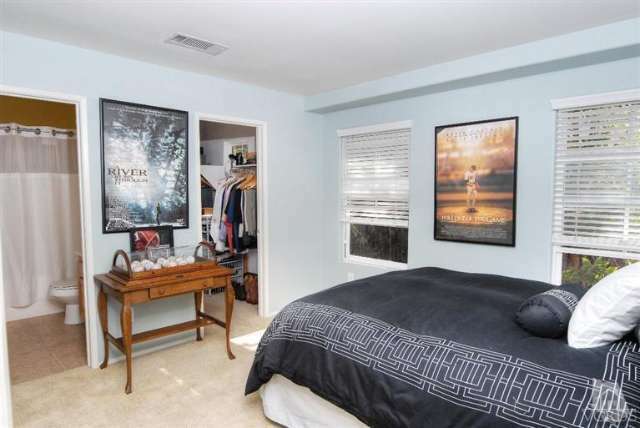 Large loft could be office, playroom or gameroom.